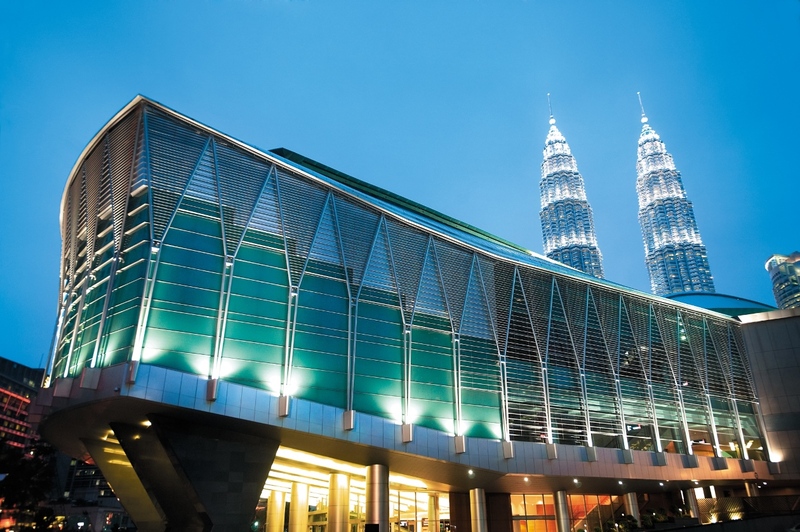 KUALA LUMPUR CONVENTION CENTRE HOSTS RECORD NUMBER OF EVENTS IN 2013! KUALA LUMPUR, 19 February 2014 – The Kuala Lumpur Convention Centre (the Centre) hosted 1,565 events in 2013, a 9% increase on the 1,442 in 2012 and the highest number ever held in a calendar year since opening in June 2005. Of this, the Conventions and TenOnCall segments were the biggest movers recording a 32% and 16% increase respectively on the previous year’s figures. For Exhibitions segment, seven new clients from the rail, security, fire & safety, skin care, glass manufacturing and baby products industries joined an existing portfolio of recurrent shows while Conventions added 33 new clients to its list, 29 of which were international conferences. In total, the Centre welcomed 2.0 million delegates contributing RM700 million in economic impact to the Malaysian economy (in 2013) compared with 1.6 million delegates and RM590 million in 2012. A steady growth of an average 10% year-on-year between 1 January 2010 and 31 December 2013 for events held at the facility means that since opening nine years ago, the venue has hosted over 15.6 million delegates and visitors and made a total economic impact contribution of around RM4.9 billion. The year in review also saw the Centre add to an already impressive list of awards and accolades, with the ‘Purpose Built Convention & Exhibition Centre Award For Excellence’ in the Business Events category of the Malaysian rAWr (Recognising Award Winning Results) Awards 2013 for her contribution to the growth and development of the country’s business tourism sector and Kuala Lumpur City Hall’s Universal Access Award 2013 which acknowledges the Centre’s design and layout as being accessible to all while the culinary team brought home its third consecutive ‘Most Outstanding Team in Culinary’ award at Culinaire Malaysia 2013. Last but not least, the Centre’s PR and media efforts were rewarded with the inaugural ICCA Best PR Award at the 52nd International Congress and Convention Association (ICCA) Congress 2013. “In addition, over the course of the year, we hosted numerous high profile international events such as the 3rd Women Deliver Global Conference (Women Deliver 2013), 4th Global Entrepreneurship Summit (GES 2013), 7th IAS Conference on HIV Pathogenesis, Treatment and Prevention (IAS 2013), 35th Asia Pacific Dental Congress (APDC 2013) and the 2013 International Dragon Award (IDA 2013) Annual Conference, highlighting our growing regional and international reputation as Malaysia’s premier convention facility,” said General Manager, Datuk Peter Brokenshire. On the Centre’s 2014 events calendar are several prestigious gatherings including Meetings & Events Australia (MEA) Annual National Conference 2014 which is being held for the first time in Southeast Asia, and only the second time outside Australia, another first in Toastmasters International 82nd Annual International Convention 2014 as this will be the first time in the organisation’s 89-year history its international convention is being held outside North America, 12th International Congress on Obesity, XXV FIG (International Federation of Surveyors) Congress 2014, 20th ASEAN Federation of Cardiology Congress, 16th Asian Congress of Architects 2014, 14th Western Pacific Congress on Chemotherapy and Infectious Diseases 2014, Offshore Technology Conference Asia 2014 and Asia Water Expo 2014.